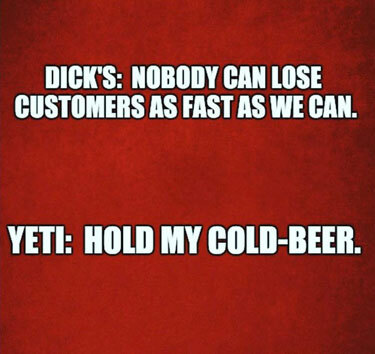 10 Feedbacks on "How to Lose Millions of Customers Overnight"
There is nothing “magical” about a Yeti Cooler. They are simply thicker on all sides and seal better than a normal cooler. The Pelican or copy cat brands are just as good as a Yeti. Time to hit Bank of America, Yeti, and any other anti-gun corporation right where it hurts… in their bottom line. You aren’t doing it correctly if you need to keep cold a beer for four hours. guns and beer mix all the time, in some settings inappropriate, in others perfectly fine. discrimination rather than absolutism. now hold my beer and watch this. 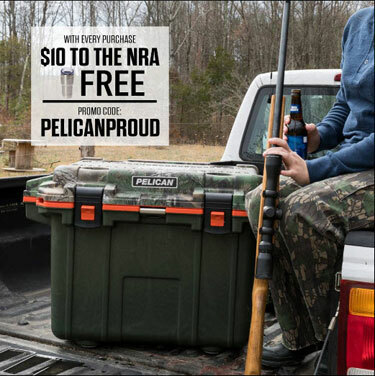 Pelican makes much better coolers. We chose pelican long before this, after reading cold-retaining comparisons of a bunch of brands. Plus, pelican coolers have a much better latch system. A person with terrible hand strength can open and latch a pelican cooler with ease. No kidding. I don’t as about to buy my whole work Team a Yeti cooler this week as a job well done. Instead, I’m buying 10 Pelican Coolers today. I may send an email with a redacted screenshot to Yeti. Dumb. Yeti is over-priced hipster garbage. Go Pelican! I been reading about this for days now. And I’ve been hoping Yeti would come out with some sort of explanation as to what is really going on. But it doesn’t seem to be happening. This makes me very sad. Our family loves Yeti. 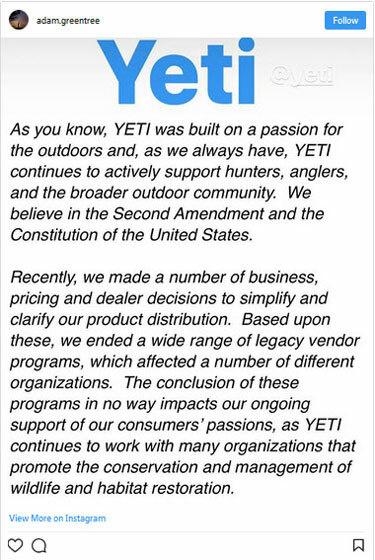 We exclusively bought their products because Yeti was started by Aggies. We an Aggie family through and though so we paid for their ridiculously expensive products to support them. and a week later the kids are still pulling leftover ice cold sodas and water out of it. I’m so disappointed that Aggies, the most pro-second amendment, pro-military people around are doing this. Could it be that they hired leftys for PR at their HQ in Austin? I still hoping for some sort of real mea culpa, or some explanation of why they’re doing this, but as the days go by it seems less and less likely. Sorry about the horrible grammar mistakes. My iPad is skipping and freezing lately. I can talk right, I promise! I’ve never heard of Yeti coolers. Now I have. Seriously, who thinks it’s a good idea that a potential customer’s first impression is to never, ever buy their product?